Mid-Roll Divider :: Draper, Inc. 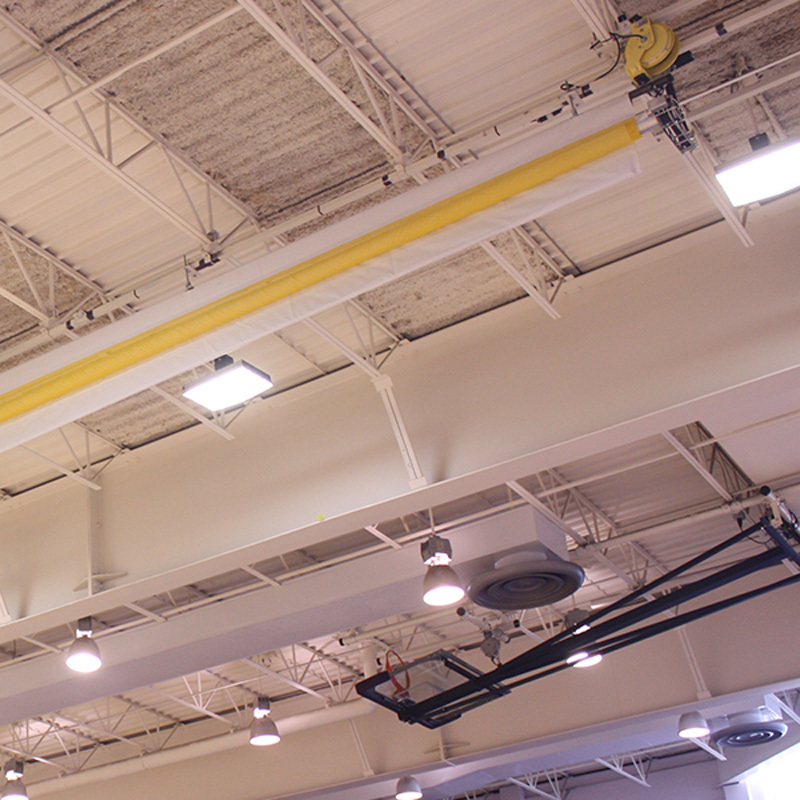 The Mid-Roll Divider offers a simple overhead design for gymnasiums where stack height is critical. When directly attached to the roof structure, this divider provides a stack dimension of as little as 14” (36 cm). 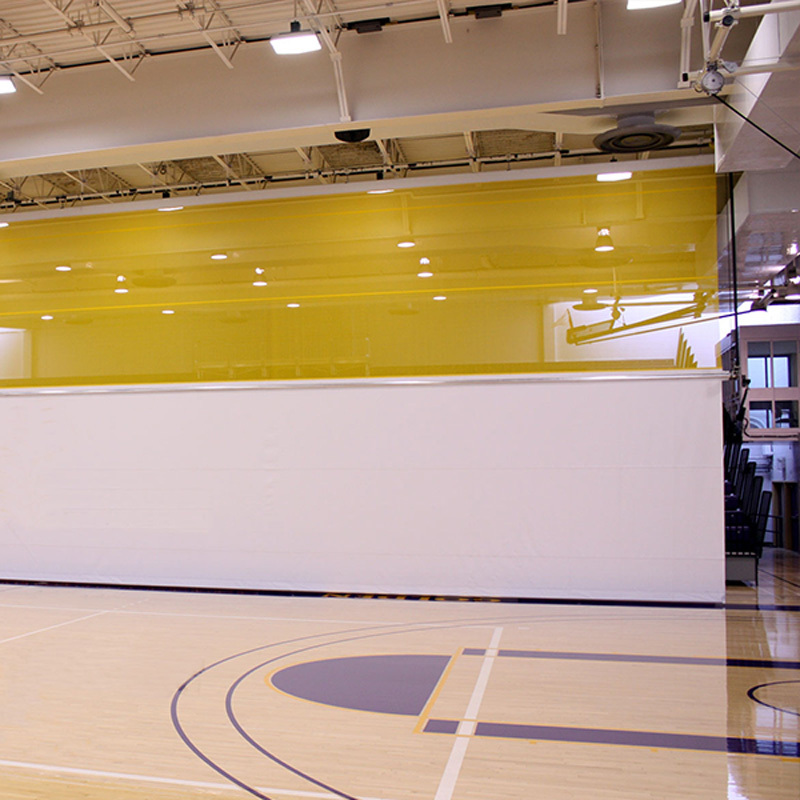 The divider rolls neatly and compactly to the ceiling, eliminating wear point experienced with other dividers. Top and bottom sections roll simultaneously on an aluminum drive tube located at the vertical center of the curtain. This fast folding action at 24 to 26 feet (7 to 8 m) per minute is achieved without the use of belts or cables. 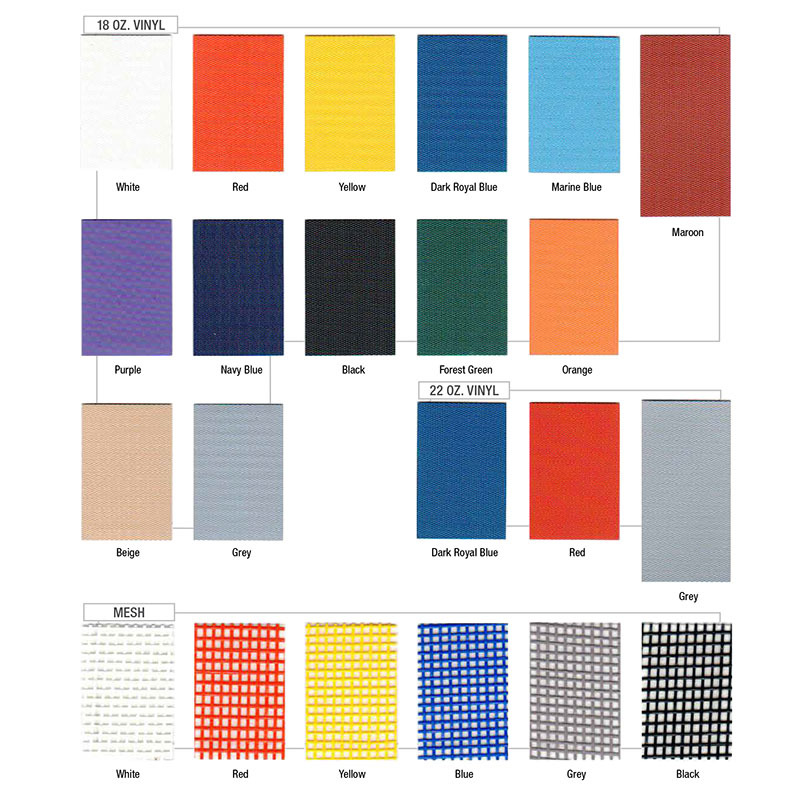 It is available in either all solid vinyl, vinyl coated polyester mesh, or a combination of mesh on the top and solid on the bottom. Horizontal seams to allow smooth rolling action. 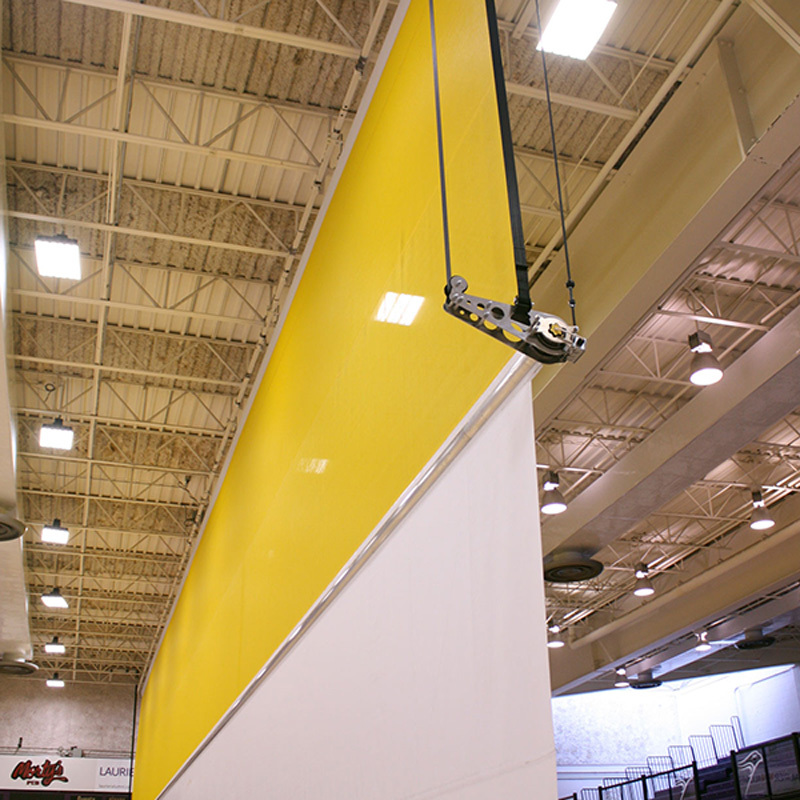 Curtains up to 1,500 ft² (139 m²) or 65' (19.8 m) long use single motor. Larger curtains use two synchronized motors. Minimum curtain height is 18' (5.5 m). Total hanging weight is approximately .67 lb per sq ft (3.271 kg/m²). Minimum clearance of 18" (457 mm) is required between vertical curtain edges and adjoined curtains, or fixed objects at motor end. Minimum 6" (152 mm) clearance required on non-motor end. A 3' (915 mm) clearance is recommended to allow egress at curtain ends. Uses 880 in-lb (100 Nm), 14 RPM, 110-120 V AC tubular motor(s). Includes key switch operation standard. Also available with wireless remote, EZ-Pad Plus, or Smart Gym. Typical stacking dimension is approximately 18” (46 cm).